The FDA has vowed to continue its drive for a fair and fully-funded pay rise right across the public sector, after Philip Hammond’s Budget failed to offer any substantive action on pay. As part of its ongoing pay campaign, the union has launched a dedicated website – FDAFairPay.co.uk – which allows members to enter their current salary and find how they have been affected by the public sector pay freeze and subsequent below-inflation pay cap since 2010. The site then connects users with their local elected representative, with the FDA encouraging its members to write to them directly to make the case for properly-resourced pay increases. 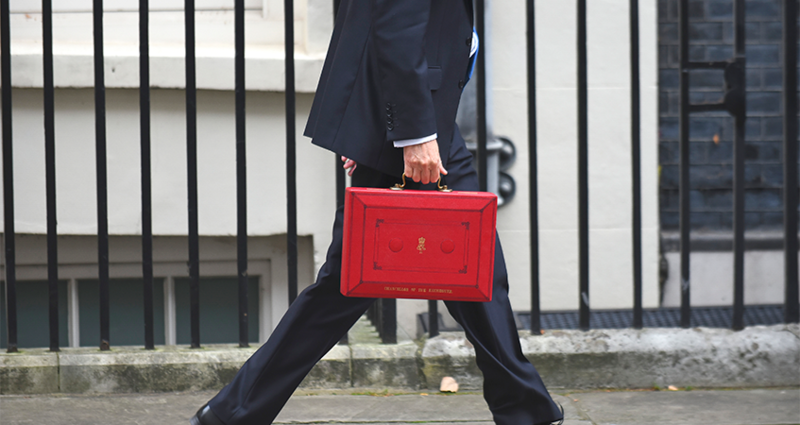 Despite speculation that years of public sector pay restraint would be eased in the Budget on 22 November, Hammond’s statement confirmed only that he was lifting the formal 1% cap on pay rises, which has been in force since 2011. But with no additional funding for pay outside the NHS, the Treasury has made clear that any increases will have to come from existing departmental budgets. Responding to the Budget for the FDA, Assistant General Secretary Naomi Cooke welcomed the additional £3bn in funding to help Whitehall prepare for Brexit, but she said that the Government’s “lack of investment in the talent and hard work of civil servants” was “telling”. “The civil service needs to be able to recruit and retain the best people to deliver the best possible Brexit, so the complete absence of any statement on pay for the 98% of civil servants not covered by Review Bodies beggars belief,” Cooke added. Her view was echoed by the Association of Revenue and Customs (ARC) – which represents senior staff in HM Revenue and Customs – with ARC President Vicky Johnson accusing Mr Hammond of hypocrisy for praising the work done by HMRC officials in his statement while failing to take action on pay. “The Chancellor rightly used his Budget statement to shout about the extra £160bn in tax revenue that HM Revenue and Customs staff have managed to bring in for the nation since 2010 – yet he’s completely missed the chance to back the people who’ve made that possible,” she said. As well as the FDAFairPay.co.uk site, the union’s post-Budget pay campaign continues with the launch of the FDA’s annual Senior Civil Service (SCS) Pay Survey. The anonymous survey will form the central part of the FDA’s submission to the Senior Salaries Review Body (SSRB) for its 2018-19 pay review, and the union is urging all SCS members to take part to help ensure that the voice of senior staff is heard as ministers consider the future of civil service pay.